The staff and Governors at Holy Cross Primary seek to provide a positive and happy working environment, where children are valued for their academic and social worth. We aim to ensure that each child develops a life-long love of learning in a happy and caring environment that bears witness to our Gospel values. We aim to create opportunities to develop independence, confidence and collaboration, recognising that everyone has their own unique talents which we work with you to develop. We greatly appreciate the contribution parents make to our children’s education and welcome you visiting us at any mutually convenient time to see the school in operation. 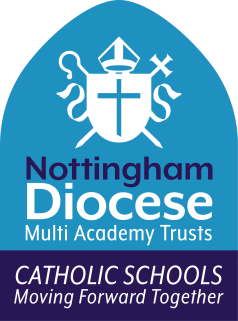 We believe that having a close partnership between parents, school and our Parish Church is the key to success and we are here to work with you to ensure the very best possible experience for your child.